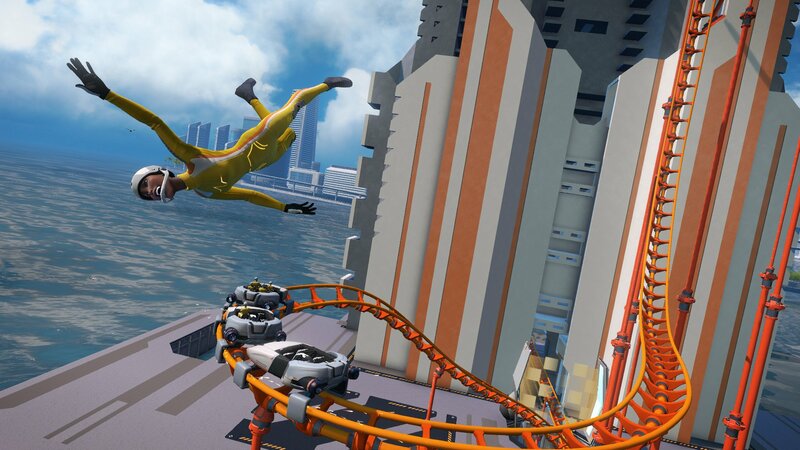 Screamride is an ‘easy to play, difficult to master’ physics/puzzle game published by Microsoft and developed by Frontier Developments available for the Xbox 360 and the Xbox One. This game itself places you in three different roles. The first you get to try your hand at is the Screamrider. This mode places you in the seat of a rollercoaster, and you have one single and vital objective; don’t crash and fly off the rails. Of course, anybody can survive a lap of a rollercoaster and succeed, but it’s Screamride’s heavy emphasis on competition and skill that makes this my favourite mode of the three. As with most games in this genre there is a constant sense of rivalry, with leaderboards showing where you rank amongst others in the world but more importantly, among your mates, and mini objectives providing you with a reason to constantly replay each level until you a) fall over due to motion sickness, or b) master the level completely with a huge ‘Scream Rating’ and all objective stars collected. Watching your cartoonish comrades flop around as you speed around corners, scream in terror as you pull of a two wheeler on a loop-de-loop and laugh at each other while they try not to display what they had for breakfast is hilarious. There are a huge amount of levels for all three modes, but Screamrider was the most memorable for me with increasingly bizzare and intricate rollercoasters to conquer/fall off. Next up we have the Destruction Expert. This mode will remind many of a certain aviary slingshot simulator, just a lot prettier and with people being flung around in orbs. Your task here is to destroy as much of the environment as you can in the fewest launches possible. Although this mode is the weakest in terms of creativity in my opinion, it still provides a humorous and challenging puzzler and arguably requires the most skill. Destroying a certain area of a building can cause a chain reaction and rack up huge points. Launching the orb at any part of a rollercoaster will derail and destroy it, which if aimed and timed correctly can cause the riders to hit another object and cause massive damage. Again you have objectives within the levels to try and accomplish, from skimming the orb along water to accurately launching the orb at a specific part of a building. The difficulty of this mode in particular takes quite a sudden spike in the later levels which does detract quite heavily from the enjoyment of the game. It’s not a deal breaker, but it will surely be the nail in the coffin for some players when they hit a level they can’t do. The third and final mode is a surprisingly intricate theme park creator. Here you essentially build your own dream creation with attractions, coasters and environments. Props personalise your park and allow you to put the finer details on your childhood fantasy. Miss playing Rollercoaster Tycoon? This is about as close to that as you can get, and it’s a riot. 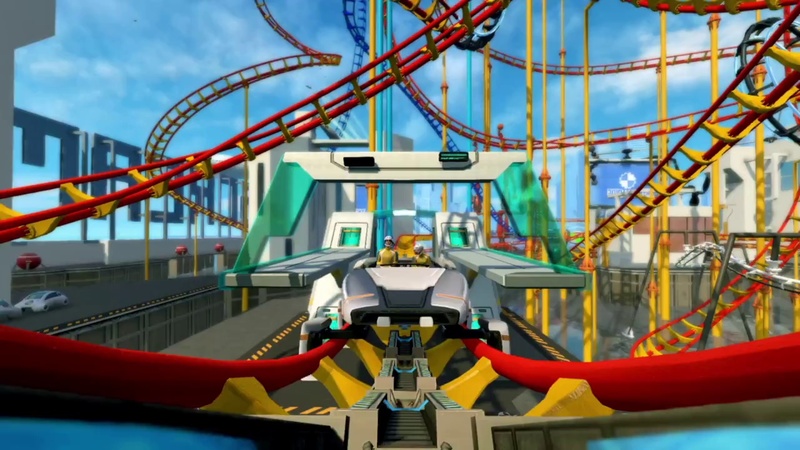 You can even share your rollercoaster designs to Xbox Live and challenge people to complete fastest laps and score challenges on them, effectively mixing the Engineer and Screamrider modes into one glorious online experience. For many people the price for Screamride is a huge no no. With a price on average of about $30, or around £28, it may seem a bit steep, but believe me the content and replayability is huge. I tend to finish a game and very rarely go back to it, but I can see Screamride staying with me for a long long time. Difficulty issues aside, I can’t see any reason why you shouldn’t pick up this hugely underrated gem. I see people complain about there not being enough ‘next-gen exclusives’. I’m here to tell you there are, you just need to take a leap of faith once in a while….or a leap of highspeed airbourne orbs! 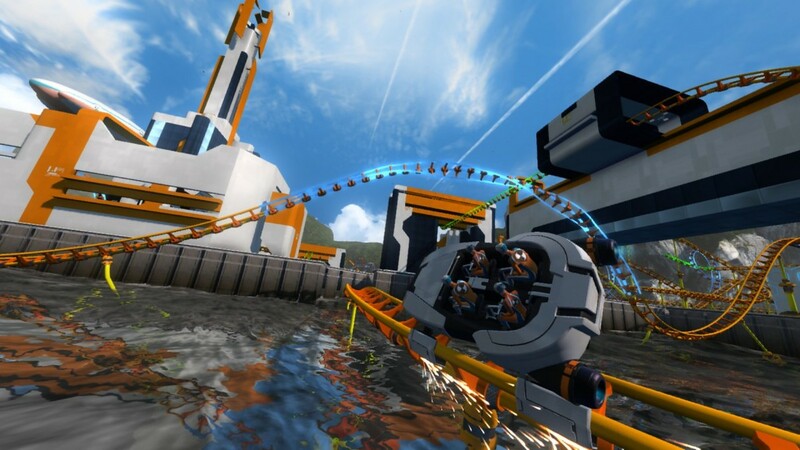 This entry was posted in Uncategorized and tagged Frontier Developments, Microsoft, Screamride, Xbox 360, Xbox One. Bookmark the permalink.